There is probably nothing worse than a sleepless night and as we stay wired to more and more digital devices throughout the day and into the evening,we disconnect with our natural needed state of relaxation before bedtime. If you’ve ever lain awake thinking about commitments to work and school, about your family and friends, you are certainly aware of the challenge it can be to turn off the barrage of thoughts at the end of the day, to relax and sleep as we are meant to do. And if you have this issue, even if you don’t, turn to meditation for benefits of overall health that will last a lifetime. Research indicates clearly that practicing meditation results in a plethora of health advantages, from lowering blood pressure to easing the symptoms of anxiety and insomnia to thinking clearly. 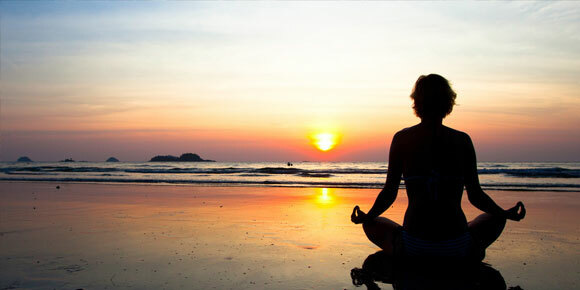 If you’ve never tried meditation or are skeptical because it may seem an arcane pursuit, think again and the good news is it’s easy to get started especially in Bali, where meditation is a way of life with plenty of support such as Bali Meditation with its scheduled 2017 classes starting from Jan. 8-14. Here’s how it works: During meditation the brain emits alpha wave forms, and these are associated with relaxation and thus begins a slowness in both breath and heart rate, which contribute to a more relaxed physical state. Most meditation practices share in common the same four elements: a quiet place to practice with limited distraction; a comfortable posture (sitting, lying or even walking are typical); focused attention on an object, your breath or a specific word or phrase; and, lastly, an open attitude. Meditation involves focusing on your breathing and then bringing your mind’s attention to the present without drifting into concerns about the past or future. It helps you break the train of your everyday thoughts to evoke a relaxation response, using whatever technique feels right to you. Choose a calming focus. Good examples are your breath, a sound (“Om”), a short prayer, a positive word (such as “relax” or “peace”), or a phrase (“breathing in calm, breathing out tension”; “I am relaxed”). If you choose a sound, repeat it aloud or silently as you inhale or exhale. Let go and relax. Don’t worry about how you’re doing. When you notice your mind has wandered, simply take a deep breath or say to yourself “thinking, thinking” and gently return your attention to your chosen focus.